D.Bat-Erdene, driver of WWF-Mongolia Program Office Eastern branch, assisted three German citizens who lost their way in Onon River. Specifically, three German MOMO project staff have conducted a fish survey on the Onon River and their driver was supposed to get back after their research was completed. 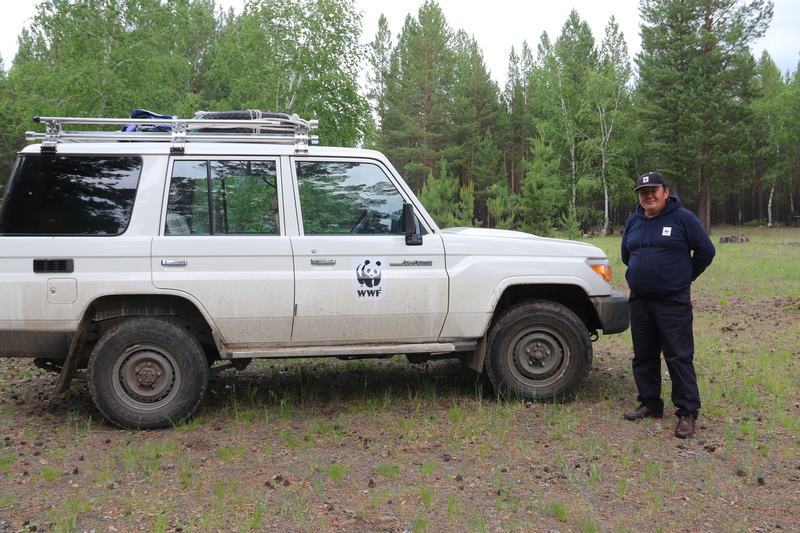 After waiting for two days for their car, they informed the WWF-Mongolia Program Office Eastern branch by radio. WWF-Mongolia immediately sent driver D. Bat-Erdene, who knows the area well. Driver D.Bat-Erdene said, "We were informed that German citizens could be at the confluence of Onon and Balj rivers. The search covered 5 km long stretches of river and surroundings. For the first time we couldn’t find. The second time we searched, three Germans were found on the side of the river. Normally, it is an outback with no roads and herder camps. Because they did not plan to stay over, they didn’t have food, nor tents. I gave them a food I had and brought them to the center." Rescued people were very thankful and happy for WWF-Mongolia prompt action. The driver who was supposed to pick up the research staff was lost and got stuck in a mud. Thus, he wasn’t able reach the arranged destination. Driver D. Bat-Erdene is an eco-friendly person. When he was called to Ulaanbaatar for short visit, he came across freshly cut-off aspen branches and brought them to his home city for cultivation. The aspen saplings were then donated to local communities.